The Train Wreck is Coming! President Barack Obama famously promised, “If you like your health care plan, you can keep your health care plan.” He later got even more specific. But as Obamacare’s rollout approaches, we have learned this is not true. Here are the ten states where consumers may like their health care plans, but they won’t be able to keep them. Republicans and Democrats are at an impasse and with the threat of a government shutdown rushing towards us, like a runaway freight train the American people can only watch the train wreck from a distance. In closing todays post. 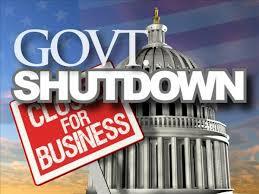 I hope the government shuts down! We don’t have the money to fund ObamaCare and Republicans need to make it clear that we’re not going increase the debt limit. 2014 is coming and I hope the American people vote out the weasels in Washington who, in my opinion, are completely out of touch with the rest of us. I remember the former Senator, Arlen Spector being booed at a town hall meeting as he tried to explain ObamaCare. http://www.youtube.com/watch?v=gyn46AKgqaY Of course this was the guy who came up the magic bullet theory in the JFK assassination. The train wreck is coming…..
8 1/2 X 11 Over size book with 120 full color photos in On the Trail of the Nephilim! If you buy these separately it would cost $50! Hey LA, Richard Shaw, and crew! In Other News: Tracking the Birth Pains! 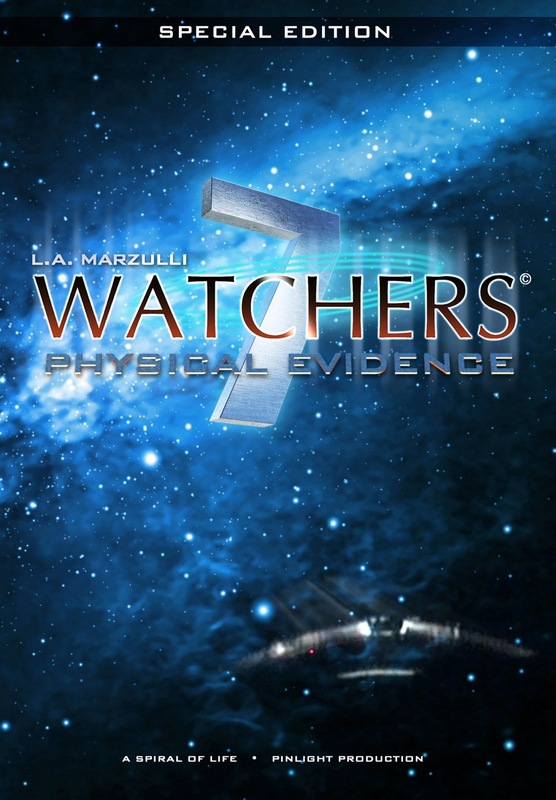 Watchers 7: Physical Evidence is coming! To be released late November! 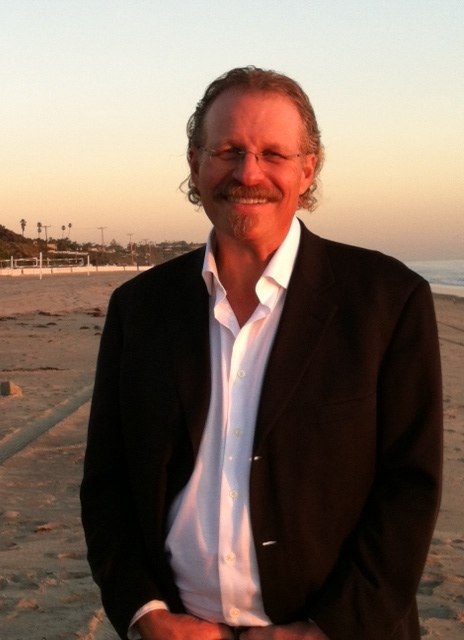 L. A. Marzulli’s Speaking Engagements! New Years Eve! : December 31 – Cavalry Chapel Oceanside – Southern Cal. L. A. Marzulli shares the platform with a variety of speakers with many different world views. Marzulli does not endorse anyones world view unless specifically noted. Ted Cruz should be applauded, instead our media attempts to tell us his actions were silly, a waste of time, and were absurd! (See links above) However, there are a lot of Americans who are cheering his actions and I for one, will be counted as such. The American people were forced to accept ObamaCare, as the more than 1000 pages of legislation was voted into law by the democratic controlled house and Senate. As I stated in my last post, Speaker of the House Pelosi stated: we have to pass the bill before we can read the bill! 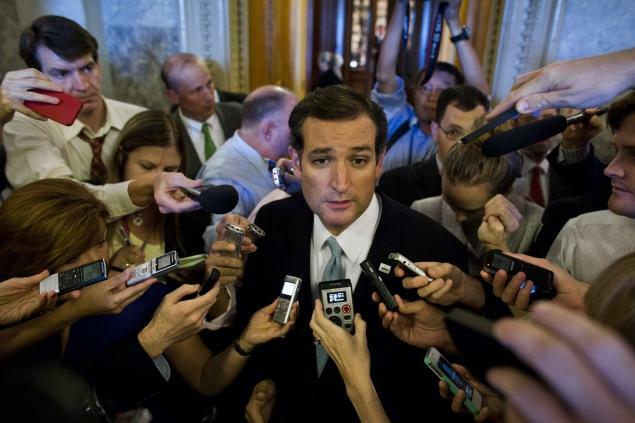 Our media blasted Cruz and attacked his actions rather than his ideas. This is standard fare, as our media regularly engages in the public evisceration of whomever they set their sights on. Here is a part of what Cruz actually said, which is NOT being reported, and thus, may expose a media which is not doing their job, but are more than likely “in the tank” with Obama. Mr. CRUZ. Madam President, I rise today in opposition to ObamaCare. I rise today in an effort to speak for 26 million Texans and for 300 million Americans. All across this country Americans are suffering because of ObamaCare. ObamaCare isn’t working. Yet fundamentally there are politicians in this body who are not listening to the people. They are not listening to the concerns of their constituents, they are not listening to the jobs lost or the people forced into part-time work, to the people losing their health insurance, to the people who are struggling. A great many Texans, a great many Americans feel they don’t have a voice. I hope to play some very small part in helping provide that voice for them. I intend to speak in opposition to ObamaCare, I intend to speak in support of defunding ObamaCare, until I am no longer able to stand, to do everything I can to help Americans stand together and recognize this grand experiment 3\1/2 years ago is, quite simply, not working. I also say at the outset that I am particularly honored to be standing side by side with my friend and colleague Senator Mike Lee from Utah. Senator Lee has shown visionary leadership in standing and taking the mantle of leading the effort to defund ObamaCare and to challenge this train wreck of a law, and Senator Lee has been repaid at times with vilification from official Washington. In my judgment there is no Senator in this body, Republican or Democrat, who is more principled, who is more dedicated, who is more fearless and willing to fight for the principles that make this Nation great than is Senator Mike Lee. It is a singular privilege to serve with him and to stand side by side with him and so many others in this body, and, even more importantly, so many millions of Americans all across this country. There is a problem in Washington, and the problem is bigger than a continuing resolution. It is bigger than ObamaCare. It is even bigger than the budget. The most fundamental problem and the frustration is that the men and women in Washington aren’t listening. If you talk to the man and woman on the street, that is the message you hear over and over again: Why don’t they listen to me? Why don’t they hear what we have to say? They aren’t listening to the millions of people, Democrats, Republicans, Independents, Libertarians, across the spectrum who say our elected officials get to Washington and they stop listening to the people. Cruz is what I would consider a populist, he’s for the people, he’s not a Washington insider, who is more concerned with reelection than the welfare of his constituents. Cruz stood for hours on the floor of the Senate, and he did so because he believes in what he was saying, it is part of his core values, it is a reflection of his ideals, his principles. It is not a stunt! I wish there more like him in the halls of government. We, the American people need to raise our voices by calling our senators and demanding they postpone this onerous law. 237 years ago the people in this country rose up against the King of England. We demanded taxation with representation. Now we are taxed from the moment we awake until we go to bed. Almost every facet of our lives is taxed and that money goes to a bloated government who has now over 800 military bases world-wide, and who is bogged down in the quagmire of the Afghan war for over 12 years, after Bush declared, mission accomplished! What happened to, we the people? Both Congress and our media are out of touch with the average American. Surely if we raise our voices loud enough “they” will hear us, at least Ted Cruz will! Acceleration Radio: The FInal Babylon! Authors Krieger & Woodward Will Explain! Note:I will address the fallout from the Cruz filibuster tomorrow! CALL YOUR SENATOR and tell him or her you Don’t Want Obamacare!!! WE STRONGLY ENCOURAGE YOU TO LISTEN WITH YOUR COMPUTER, TABLET OR SMARTPHONE DEVICE FOR THE HIGHEST QUALITY! What if the Antichrist were an American leader? What if he were alive today and living in the U.S.A? What if he were only a few years away from revealing himself to the world? 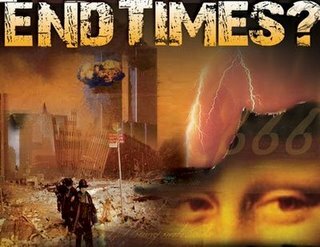 Instead of being omitted from Bible prophecy as many of the major eschatology scholars have taught for decades, what if America were at the very center of Bible prophecy? What if the U.S.A., rather than Europe, Rome, or Babylon, were the power base of Satan’s conspiracy against the Kingdom of God? These three authors, Douglas W. Krieger, Dene McGriff, and S. Douglas Woodward, argue just that. Together, they have written what may be seen as a landmark book rethinking the traditional prophetic scenario in light of developments in America and the Middle East. Combined, these authors bring over 100 years of study, teaching, and writing to the subject of Bible prophecy. The amazing blend of their respective backgrounds in the foreign services, evangelical ministries, and corporate America, lends unsurpassed credibility to their stunning and remarkably fresh presentation. In some respects, The Final Babylon is a classic prophecy book, rich in exegesis of key scriptures most often overlooked or misinterpreted. The implications are life changing. 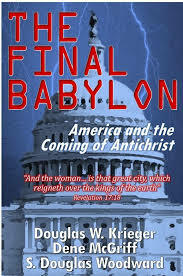 Reading The Final Babylon, America and the Coming of Antichrist will awaken you to what has been happening right in front of our eyes that we simply couldn’t see due to our love of country and our faulty assumptions concerning the antagonists in the traditional prophetic scenario. This book may change your politics, your view of the Bible, and what you do day-to-day.